For school, for art classes, for fun: this kid-friendly guide to the art of beautiful writing will be a hit anywhere. From the tools to the techniques to the fantastic projects, everything has been chosen specifically for children. Youngsters can use special, colorful, felt-tipped pens called chisel-edged markers to produce great-looking letters. The guidelines make it easier to get good results. 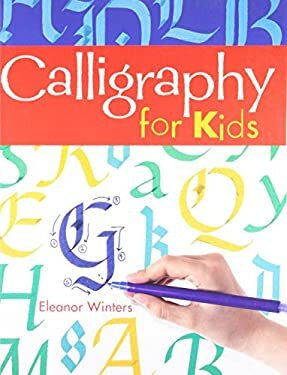 Attractive pages, filled with brightly colored examples, get kids started with simple zigzags and then move on to small and large italics, gothic lettering, uncial, and Roman calligraphy. Children will enjoy using their new skills to write down favorite poems, fashion border designs, and create greeting cards and invitations.